Snowflakes aren't much to look at during a storm, but when you look real close, you can see just how marvelous they really are. 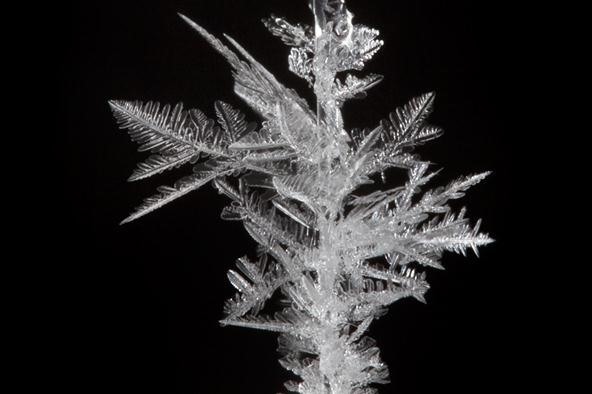 But winter is over and most of us can no longer enjoy the intricate nature of ice crystallization, unless you're sticking your head in your freezer. Or unless you build your own snowflake cultivation machine, which shoots 2,000 volts of electricity through a cold, moist chamber. A biochemist named Linden Gledhill was recently commissioned to build a cooling system for making homemade snowflakes. Why? For stop-motion, of course. 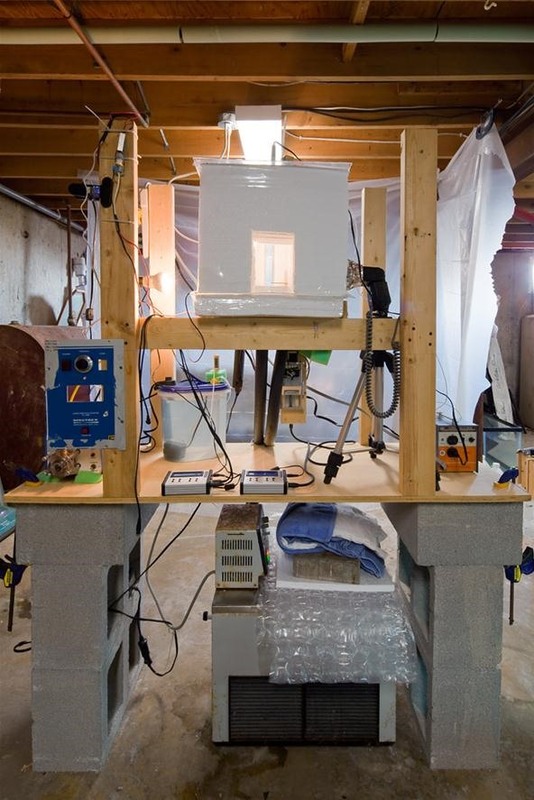 Using these plans for a vapor diffusion chamber by a Caltech group, Gledhill successfully built his garage version from a Peltier cooler cut from an old icebox, powered by a 2,000 volt power supply. "This can cool down to about -10C when air cooled. [Gledhill] converted the heat exchanger for liquid cooling and this is fed by an old lab chiller set to -20C. The combination of the two stage system achieves the desired -50C needed to grow the flakes. The chamber creates a gradient form +40 to -40C." The picture above is just one of the images he captured from his setup. Doesn't this inspire you all to rip apart your iceboxes and take some cool pictures? Check our his full collection of snowflakes on his Flickr page and to learn more about the project.